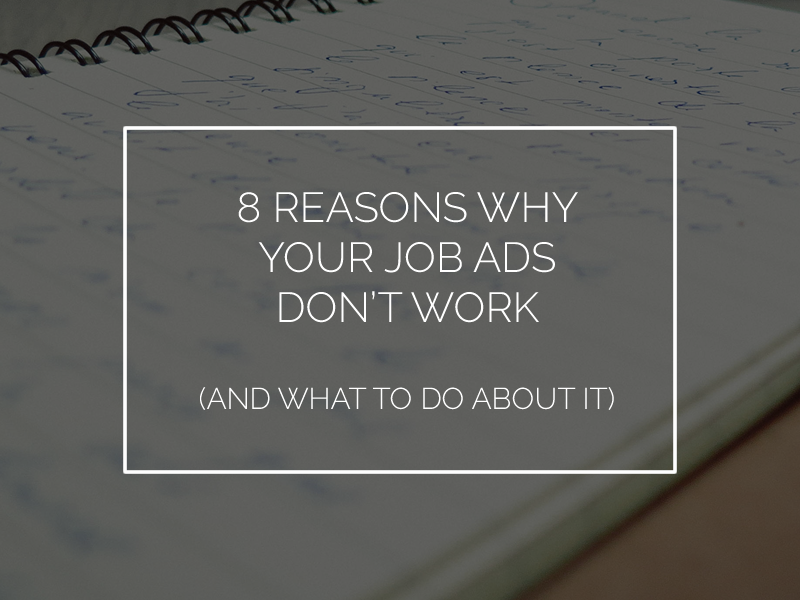 If you’ve ever been left thinking “why is nobody applying to my job adverts” then the following insight might just help you solve this problem and open the flood gates to great candidates. For a truly successful campaign you need broad exposure, target a mix of generalist, niche, aggregator, regional and social sites to increase reach and cover all bases. With over 1000 job boards to choose from in the UK, selecting the correct ones will make or break your campaign. Research the correct sources and select sites based on traffic, database size, industry relevance, search optimisation and performance. We’ve covered how to write a great job adverts before but in short keep it punchy, sell your company, be concise (less than 500 words), not too demanding and keyword optimised. Before committing all those skills into a job advert ask yourself “are they absolutely essential for the role?” Candidates will often hold back from applying to a position if they see skills included within an advert they do not have (even if they are advantageous). It’s simple, to attract the very best staff you have to pay above what the competition is paying. Guru can help you understand market conditions and what a competitive salary is – send us your vacancy to review. The purpose of a job advert is to drive interest in your company and your vacancy. Hurdles such as requesting personalised cover letters, application forms, tests etc. are off putting to candidates and will result in a reduction of applications. Ask yourself, can this information be obtained at the interview? The best candidates do not stay on the market for very long, in fact the very skilled are gone within just 24 hours of applying to a job and 34% of the best are gone within the first week. The Lifespan Of An Active Jobseeker explains more. The perfect candidate doesn’t often exist, so be realistic, be prepared to make some compromises along the way and consider the implications of not having someone in that role, if all the above points are done correctly and responses are still not forthcoming consider changing your role to appeal to a broader audience. Guru know a thing or two about recruitment advertising, for more advice or bespoke written job adverts send us your vacancy or give the Guru Campaign Team a call directly on 01732 375940 / request a callback.